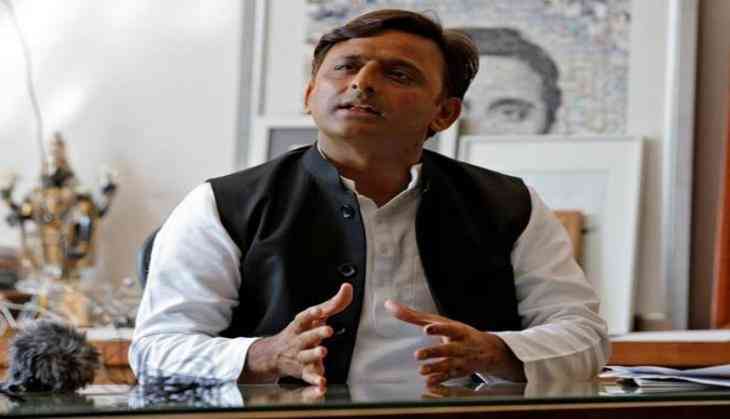 Former Uttar Pradesh Chief Minister Akhilesh Yadav on 29 July took a jibe at the recent political development in Bihar and said people are watching the political corruption of the Bharatiya Janata Party (BJP). Addressing a press conference here, Akhilesh said, "I am surprised to see that people who objected about 'DNA' have joined hands NDA ( National Democratic Alliance)." He further added that "DNA and NDA have common alphabets so they ( Bharatiya Janata Party and Janata Dal- United) should tell the actual meaning. Prime Minister Narendra Modi, while attacking Janata Dal- United leader Nitish Kumar at a rally in Muzaffarpur on July 25, 2015, had said that it seemed that there was "some problem with Nitish Kumar's DNA". Nitish Kumar has severed ties with his old ally Rashtriya Janata Dal (RJD) and joined hands with BJP led NDA to form government in Bihar. Nitish, a longtime ally of the NDA, and Prime Minister Modi in the past have had bitter relations. Akhilesh trained his guns at Narendra Modi government by saying that people are watching everything and will give befitting reply to everyone in 2019. When asked about what were the chances of a grand alliance against BJP in 2019, the former chief minister said, "It is not about grand alliance. In 2019, people would like to know how forward they (Modi Govt) have taken the country." Replying another question, Akhilesh said it is very important to keep good relations with everyone in politics because you never know when you would be needing someone's support. When media tried to get a specific answer, he said, "Why would I tell you whose support I would be taking". When he was asked on his party leader Ram Gopal Yadav's invitation to Prime Minister Narendra Modi for a dinner, Akhilesh said, "He is completing 25 years in Lok Sabha and people invite others and attend such functions for formality." He also got little bit irritated and questioned the media persons, "Do you want me to say that I will host a dinner and will not invite anyone."